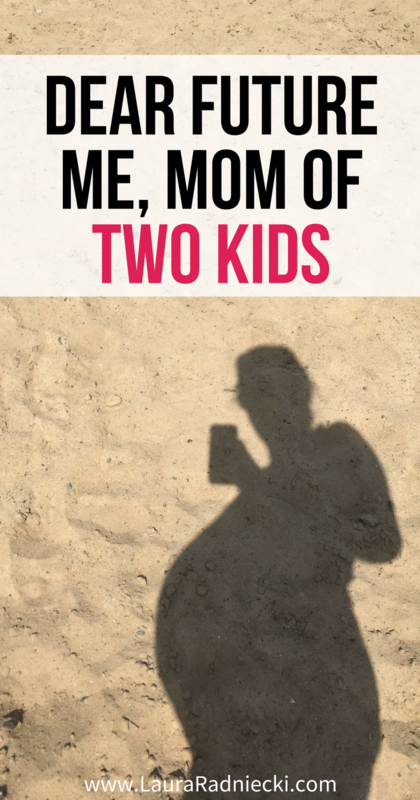 This entry was posted in Life, Motherhood, Raising Kids. Hi Laura, mama of TWO. It’s quite possible that when you read this, you’ll be completely exhausted, overwhelmed, maybe a little irritable and probably emotional. In fact, all of those things are probably a guarantee. But you’ll be ok despite all of those things. You’ll be happy in the midst of them. I am also loving this phase of motherhood I am in right now. Sure, there are challenges. And it’s possible the “terrible twos” are looming on the horizon. But this stage, this constant learning and growing stage he’s in right now, I think it’s one of my very favorite so far. When I look at him, I literally feel like my heart could crack open, I love him so much. Watching him learn new words, make sentences, discover how things work, and develop a personality that has distinct likes and dislikes; it’s one of the greatest joys of my life. I LOVE this age and this stage. To be honest, thinking about adding a new baby to the mix feels weird. It feels strange and foreign, and a little bit like I don’t want things to change. Like every parent in the history of forever, I wonder how I could possibly love a second child the same as I love Raleigh. I wonder how my attention, patience and love can possibly be split between two kids when right now, I’m giving it my all with just one. Will I be able to handle it? Will there be enough love to go around? 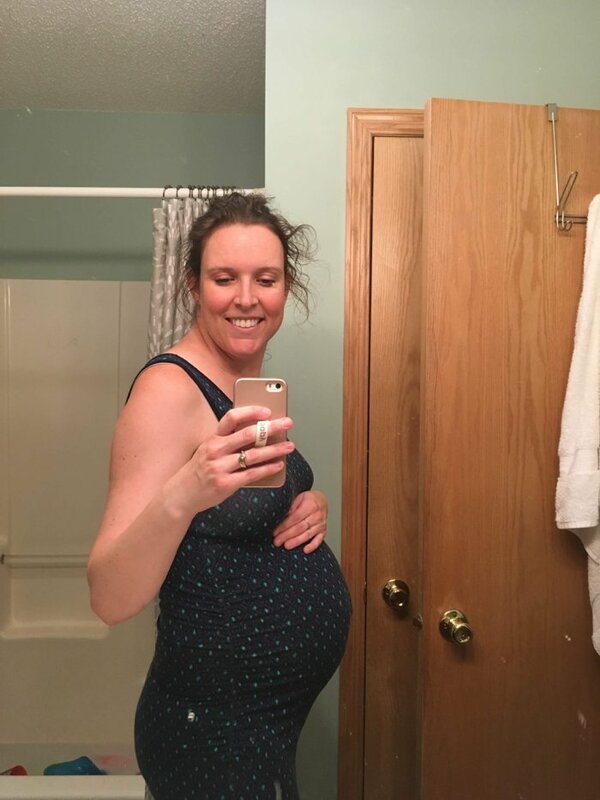 Back when I was pregnant the first time, I wondered how I would adjust to motherhood. I wondered how I would bond with my first born baby. I wondered how motherhood would be and how it would change me. I wondered if I would like it. Looking back, all of the worries and unknowns were completely, wholeheartedly, unequivocally overcome. Every last thing I worried about has been worked out or figured out. Becoming a mother has been the greatest joy of my life. Here I am, standing at the edge of another cliff this time. This time, it isn’t motherhood that I am looking down at. This time, I stand at the edge of mother-of-one and mother-of-two. I stand at the edge of kid vs kids. I stand at the edge of my current reality, looking down at a new, foreign reality that is full of unchartered waters. I feel uneasy. I feel anxious. I feel unsettled. I also feel guilty for feeling all of these feelings, and for feeling anything less than complete joy at the baby growing inside of me as I type this. But I know that it’s all ok. Everything I’m feeling, it’s ok. Everything I am worried about, it’s ok. And most of all, it’s going to BE OK. I worried with Raleigh, and everything worked out ok in the end. Even better than I could have fathomed. I know the same will be true this time. 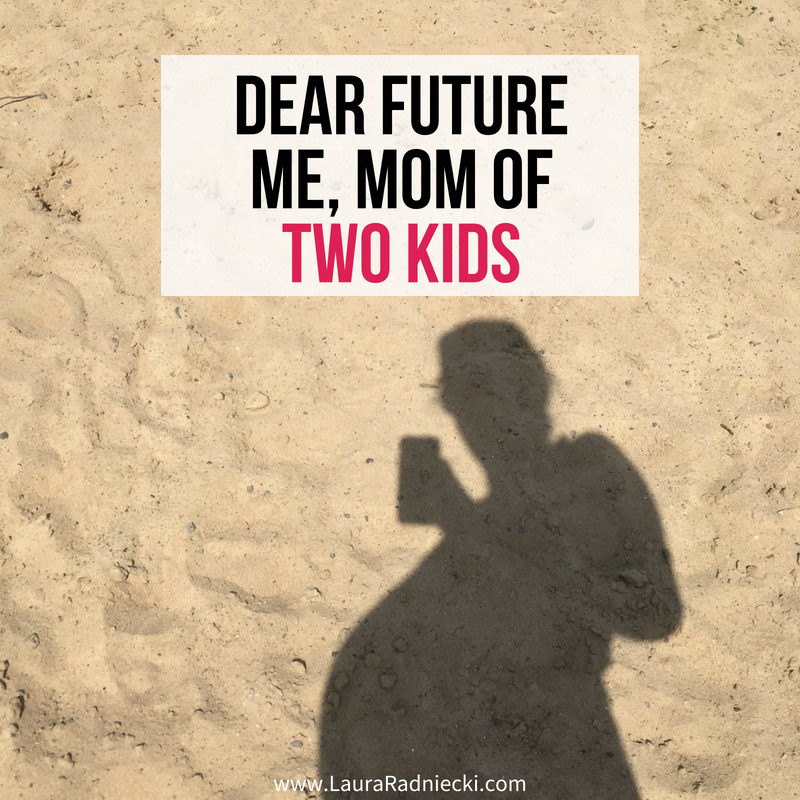 Someday in the future, I will look back on this letter to myself, and I’ll be a mom of two kids, looking back on the words written by the mom-of-one Laura. I’ll be from the bottom of the cliff, remembering what it felt like to look over the edge, wondering if the plunge would be worth it. And I know deep down in my soul that in the future, I will want to tell my past self, the one typing this email right now, that it WILL be worth it again this time too. Everything will be alright, Laura. Your heart will expand again. God will meet you where you are, and will provide the love, attention and patience you need to be a mother to another child. And just like with Raleigh, bonding will happen. Deep, all-consuming love will develop. And you will look at this new child one day and wonder how you ever lived life without them. In the mean time, be kind to yourself. Let yourself feel whatever you feel, knowing none of it is permanent. Give yourself grace, and lots of it.